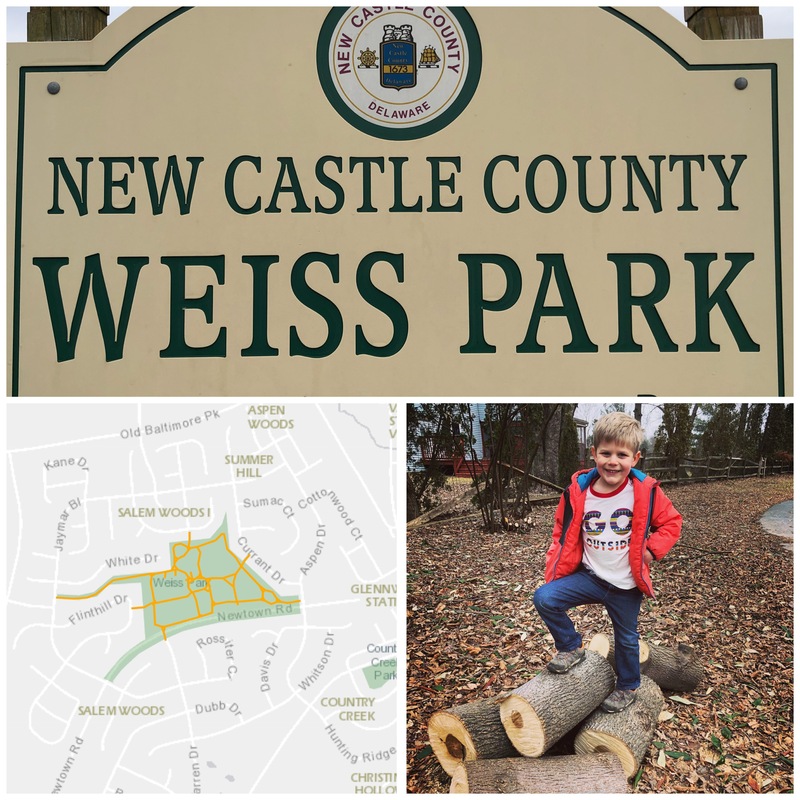 This one is a little belated as we obviously visited Weiss Park in the winter, but better late than never, right? I used the trusty Play Outside app to find it and otherwise would never had known it existed as it is in the middle of a residential area and not visible from any of the nearby roadways. The first thing I’ll say is that although it was a nice park, I wouldn’t go out of your way to visit this one. 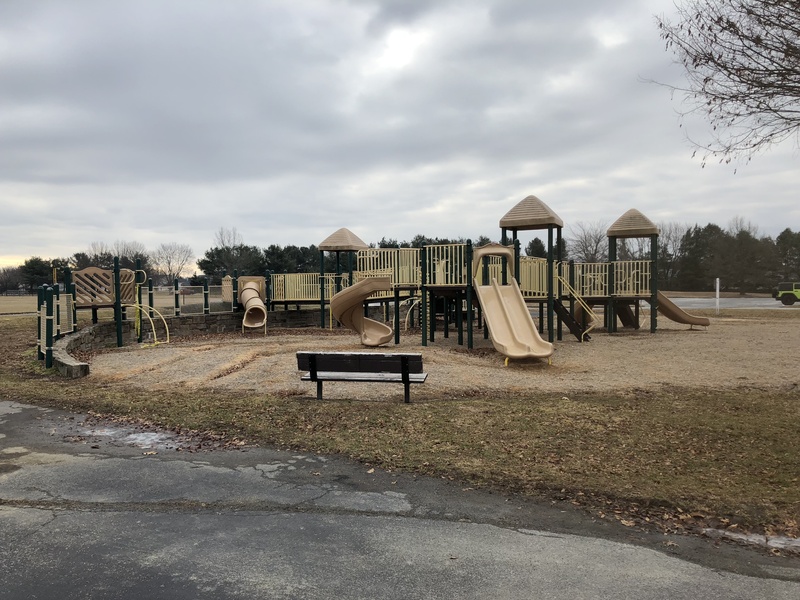 I’ve mentioned this before, but I have this goal of visiting every playground in Delaware so even if they don’t seem that great, I want to go at least once and I’d encourage everyone else to do the same. It’s nice to have a change of scenery for each adventure. My first impression of the park was that it was a bit trashy. In a variety of ways. I’ll spare you the details of the type of trash in the parking lot, but lets just say it’s definitely not something you would want your kids coming across. My second impression was that this park has the potential to be an awesome asset to the neighborhoods surrounding it, if only it were a bit more respected and well cared for. There are great walking paths that lead to the various communities, baseball fields, basketball courts, a pavilion and two playgrounds. All the elements of the perfect place for kids to gather, enjoy being outside and meet new friends.